Provided the utensil’s (wok) contact surface covers approximately sixtypercent of the inner circle’s area, cooking will initiate. Anything less will not be recognised by the induction coil and no power is supplied. Utensil bases larger than the inner circle are recognised and the appropriate power requirement is adjusted automatically. As an alternative to the traditional topmounting of a cookktop onto a benchtop, consider flushmounting into a benchtop.Topmounting is when the cooktop sits into a precut cavity with the entire cooktop’s surface sitting a few millimetres above the surrounding benchtop surface. 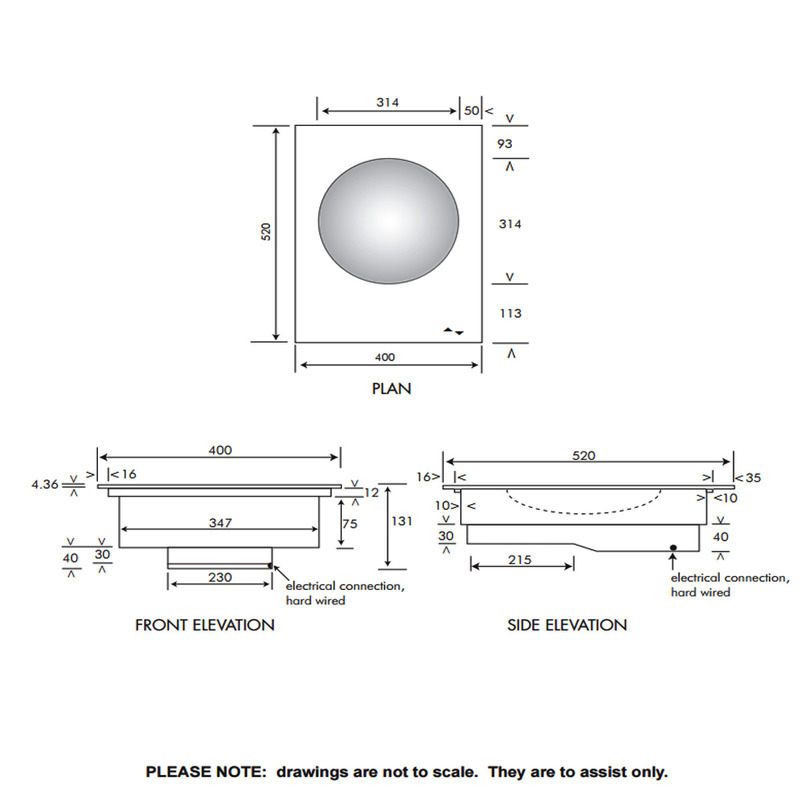 Flushmounting uses the same precut cavity but with a rebated edging to allow the perimeter of the cooktop to ‘sink’ to a flush height with the surrounding benchtop. This type of installation is applicable to stone benches, such as marble and granite and the quartz resin benchtops. wattage. This power boosting effectively speeds heating-boiling time by approximately twenty percent on an already very rapid time. 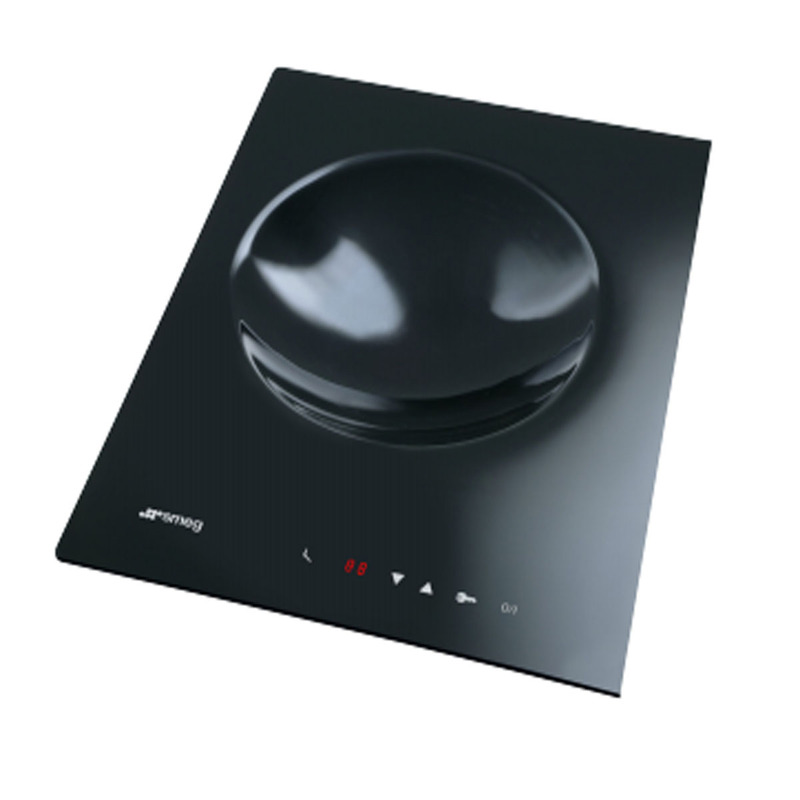 the induction zone cooks no longer than factory programmed 90 minutes continuously; boilovers and boiling dry automatically switches off the cooktop; residual heat LEDs indicate any zone above 60ºC.